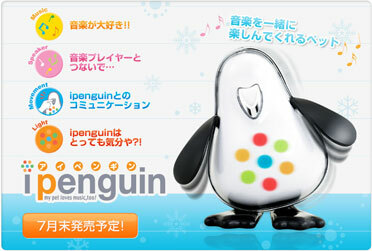 Sega Toys quite recently added an iPenguin to their lineup along with iDog and others. Plug in your MP3 player and iPenguin will act as a speaker and respond with actions to your music. Penguins are really hot this year. We look for more to follow before it cools off. I still think about my favorite penguin from my comic book days as a kid, little Chilly Willy. He was kind of runt penguin that was always cold from the Walter Lantz Studio (Woodie Woodpecker was their big hit). I see he still has his own fan club. Those were the good old days. Nowdays, if things were not already hot enough, Happy Feet, from Warner Brothers really put penguins on the map. Club Penguin, a virtual community from New Horizons Interactive, has capitalized on the penguin buzz by stressing the kid friendliness of their site to become a major player in the virtual community business. Even back in the early keychain pet days, Yuki Penguin, also known as Dinky Penguin was very popular. Artificial Life announced a Virtual Penguins game for 3G phones from Hong Kong back on 17 November 2005. A more recent, 12 Sept 2006, Artificial Life press release reports they signed a partnership with Greystripe to distribute their games through GameJump.com. Among the ones listed is V-Penguins, an improved version of the earlier game. 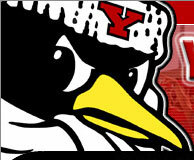 I noticed Youngstown State University actually has a penguin as a mascot. Plus in computer land we can’t forget Linux. In addition to the games listed above, there are dozens more trying to capitalize on the penguin movement. The penguin market is really hot now, but just like in real life, overcrowding results in dying off from predators and starvation. The trick is to guess which animal will be hot next.